A youthful appearance is often judged upon the condition of not only the face and neck, but also of the hands. 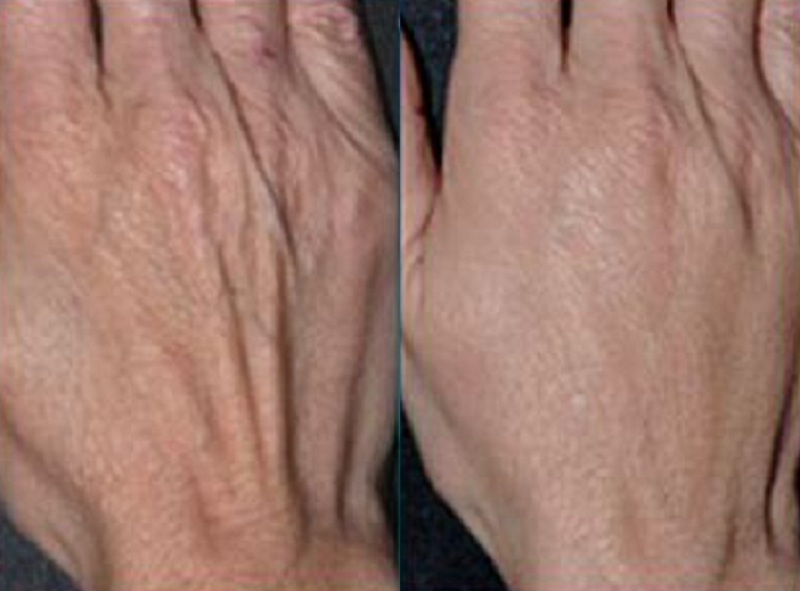 Over time, hands can begin to become pigmented, lose fat, and become wrinkled. Hand rejuvenation at Castleknock Cosmetic Clinic Dublin can help to reverse these problems. This can be done with a combination of lasers including the fractional carbon dioxide laser, fat transfer and injectable dermal fillers. There is no real method of preventing hands from ageing other than the use of a good sunscreen. It is important to place sunscreen on the back of the hands as well as the face and neck. Skin pigmentation on the hands, in the majority of cases, is due to sun exposure. These dark age spots develop with increasing levels of UV light. 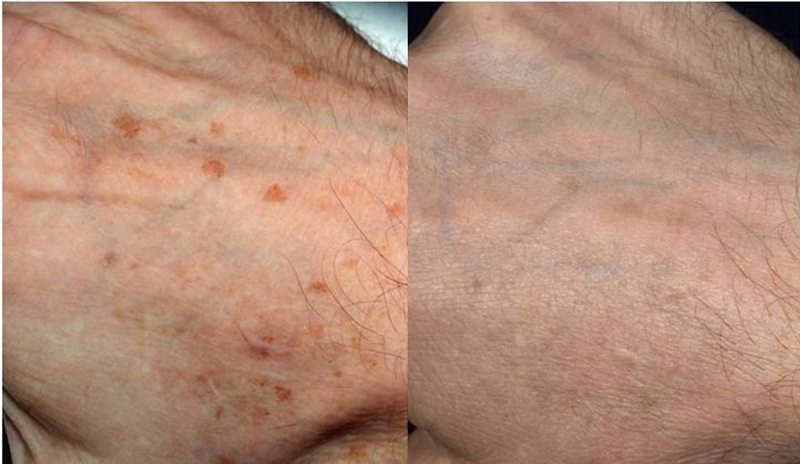 On the hands they develop as discrete brown spots that can make the hands appear older. 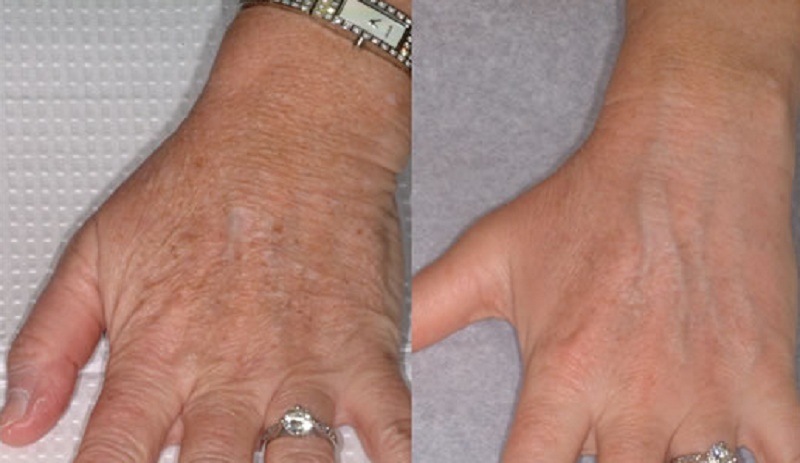 Unlike traditional carbon dioxide lasers, which have a high risk of scarring when used on off-face areas like the hands, fractional carbon dioxide lasers are able to remove pigmentation from hands as well as improve skin texture. The tiny beams of laser help rejuvenation as well as getting rid of dark pigmentation. Injectable dermal fillers like Radiesse and Ellansé can be placed into the hands to restore volume loss. This helps to reduce the appearance of tendons and the bones of the hand by plumping the areas around these structures.